We are right in the middle of winter and if you have kids like mine, they are getting a bit restless staying indoors! Those of you who live somewhere warm year round, we are quite jealous of you; however, you can still try out these activities. 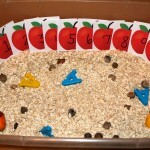 If you’ve been reading Teaching Mama for a while now, you know that we love sensory activities. 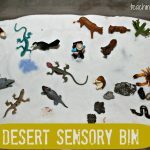 If you are a newbie to the term “sensory play”, I’ll recap a few reasons why sensory play is so important for kids. 1. 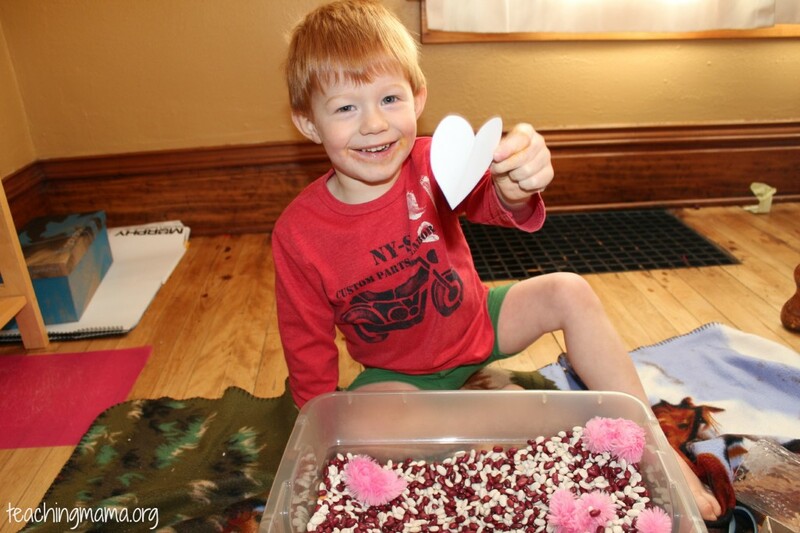 Sensory play is creating experiences that assist your child to explore the world they live in. All kids are born with 5 senses, so it’s natural to want to explore the sense of smell, taste, sight, sound, and touch. 2. 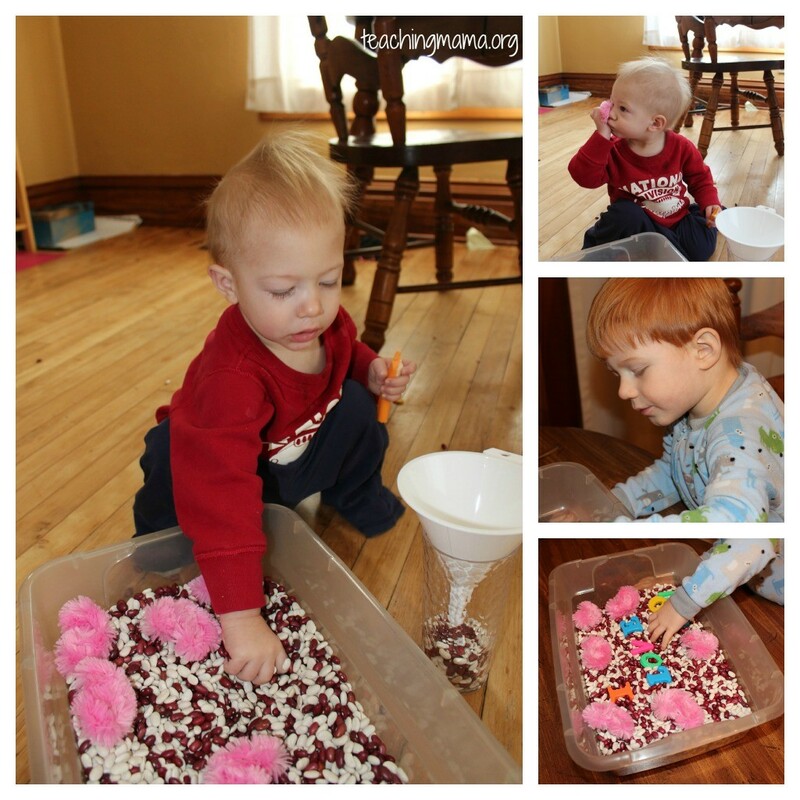 Research shows that sensory play is so important to brain development! It also helps kids develop fine motor skills, language development, cognitive growth, problem solving skills and enhances memory. 3. 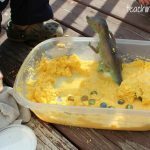 Sensory play is so natural for children. They love to explore and be imaginative, so this type of activity encourages them to be creative! When we play with sensory tubs, I bring out various kitchen tools like funnels, jars, tongs, measuring cups, etc. Then I let the kids use their imagination to play. Here are a few photos of the boys exploring. 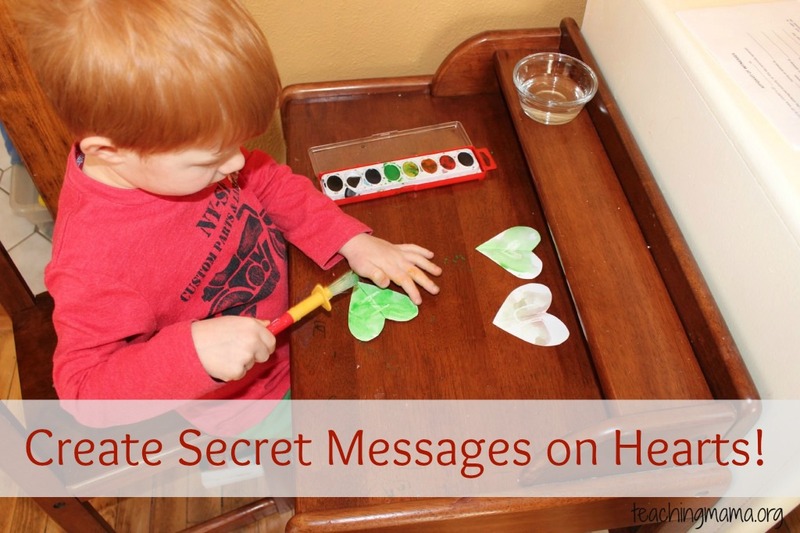 Then to add some more fun, I put secret messages on hearts in the tub for Troy to find. 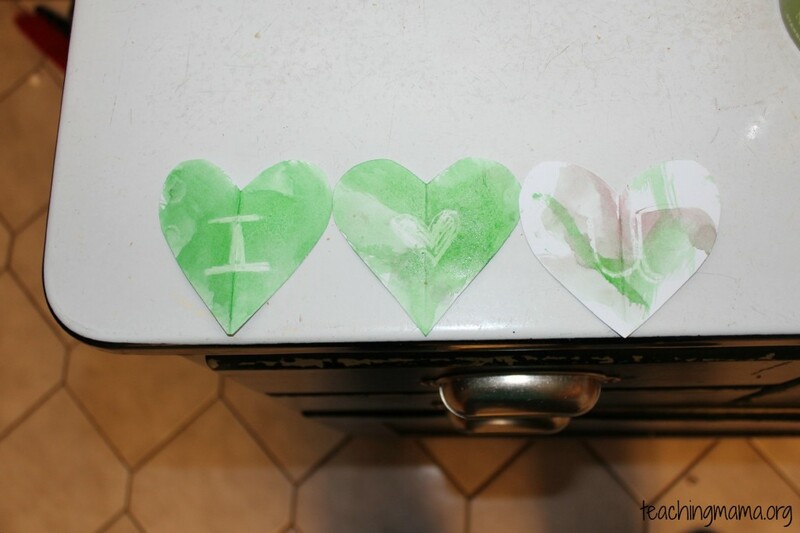 To make them, I cut out hearts from white cardstock paper and wrote a short message on them using a white crayon. After Troy found them, we used watercolor paint to paint them to see the message! Something that surprised me was that it was kinda hard for him to find the buried paper hearts in the tub. I think it was because it was a lighter texture and different from the feeling of beans. Troy thought this was the coolest thing ever! This activity will be even more exciting when he is able to read himself. I’m sure we’ll try it out again!! I love those fuzzy pink pipe cleaner hearts! 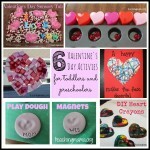 I will definitely have to incorporate those into our Valentine’s sensory bin. Glad to find your link over at Montessori Monday. Thanks, Shaunna! They are fun and the kids love playing with them. Thanks again for your comment! Thanks, Deb! 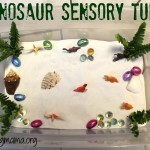 The kids are having a lot of fun exploring this sensory tub! I feel so honored to be pinned and featured. 🙂 Thanks so much!! Where did you find those adorable fuzzy pink pipe cleaners?! So cute! I love the secrete messages that you added to the bin. 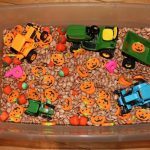 You put together a very sweet hands on sensory tub. Thank you for linking up to the brand new Hearts for Home Blog Hop! Hi Jill! Thank you for your sweet comment. I found them at Walmart in the craft section. Have a great day! 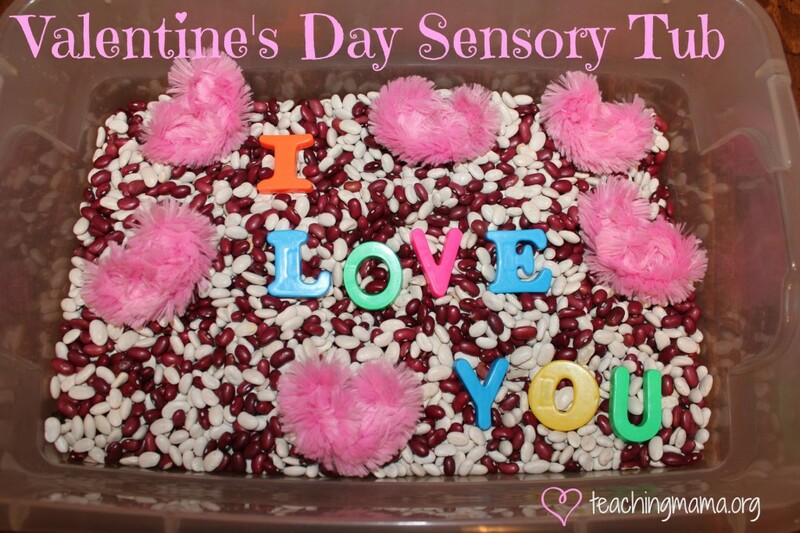 This is the best Valentine’s sensory tub I’ve seen. 🙂 And I love the secret messages on the hearts. I think I’m going to add that to our plans for the week. Thanks for linking up to the Hearts for Home Blog Hop! Blessings. Thank you, Heather! It was fun to make and the kids really love playing with it!! I hope your kids will like it, too!